Grant took his first flying lesson at the age of 13 and then soloed at 16. He continued to fly and took additional training in Cedar City, Utah. He earned both private and commercial pilot licenses. 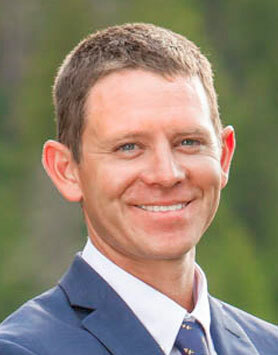 Grant was an avid outdoorsman who loved raising his young family in Wyoming. He was renowned for his keen eyesight and hearing, along with his expert marksmanship. The commercial-rated pilot and commercial pilot-rated crewmember were working with a ground crew in animal damage management. These flights typically begin with the surveillance, about 75 to 100 ft agl. Upon identifying a target, the airplane will descend to between 20 and 40 ft agl so that the crewmember can shoot the target. The ground crew lost contact with the airplane about 2 hours into the operation. The airplane wreckage was later located in steep, hilly terrain. Based upon the location of the wreckage and witness statements from the ground crew, it is likely that the airplane was conducting a low-altitude predator mitigation pass at the time of the accident. Damage to the airplane, witness marks at the accident site, and the position of the wreckage were consistent with the airplane impacting terrain in a nose-low attitude, consistent with an aerodynamic stall and subsequent impact with terrain. An examination of the airframe, engine, and related systems revealed no anomalies that would have precluded normal operations. It is likely that, while maneuvering at a slow speed, the pilot exceeded the airplane's critical angle of attack, which resulted in an aerodynamic stall at an altitude too low for recovery. The pilot exceeded the airplane's critical angle of attack while maneuvering at low altitude, which resulted in an inadvertent aerodynamic stall and subsequent impact with terrain. On December 7, 2016, about 1015 mountain standard time, a Cub Crafters PA18-150 airplane, N444GB, was substantially damaged when it impacted terrain while maneuvering 15 miles southeast of Basin, Wyoming. The commercial-rated pilot was fatally injured, and the commercial pilot-rated crewmember was seriously injured. The airplane was registered to the Wyoming Wool Growers Association and operated by the United States Department of Agriculture (USDA) Animal and Plant Health Inspection Service (APHIS). Visual meteorological conditions prevailed and no Federal Aviation Administration (FAA) flight plan was filed for the flight. The animal damage management flight departed Worland Municipal Airport (WRL), Worland, Wyoming, about 0800. According to the USDA APHIS Wildlife Services ground crew that worked with the flight, the airplane arrived in the area around 0820 for animal damage management. The ground crew members were positioned west, north, and east of the area where the airplane was operating. Ground crew members had occasional visual contact with the airplane, radio communications with the pilot and crewmember, and they could hear the engine of the airplane operating until about 1000. One ground crew member reported hearing several passes consistent with a mitigation aspect of the flight. These passes were heard just prior to 1000. About 1015, the ground crew attempted to contact the pilot and/or crewmember via radio to change the area of focus, but they did not receive a response. The ground crew tried multiple locations and means to make contact without success. At 1100, the agency search and rescue plan was activated, and about 1330 the airplane was located by aerial search and rescue teams. A review of FAA air traffic control radar data did not reveal any primary or secondary radar targets consistent with the accident airplane. A handheld global positioning system (GPS) device was reportedly on board; however, a GPS was not found at the accident site. The airplane's exact route of flight, after contact by the ground crew was lost, could not be determined. Months after the accident, the crewmember on board the airplane did not recall the specific events of the accident or accident flight. The pilot was based in Worland, Wyoming, and had initially started working for the USDA APHIS as a flight crewmember (gunner) in 2007. In March of 2016, he started flying for the program as a pilot. He completed his initial flight training, at the USDA flight training center, in May of 2016, in Cedar City, Utah. He then moved to the field to continue the remainder of the training program which was scheduled to last for a year. During this time the pilot would fly with an instructor pilot and experienced flight crewmember; in this case, the same crew member injured in the accident. The accident flight was still within the year training program with the USDA APHIS. The USDA flight training officer in Cedar City reported that the pilot was level-headed with good character and one of the best pilots to come through the program. He had no concerns or reservations about the pilot or his ability to safely operate the airplane. Neither the State Director nor the ground crew that worked with the pilot expressed any concerns or reservations about the pilot or his abilities. The flight crewmember's medical certificate contained the limitations "must have available glasses for near vision." The flight crewmember was based in Worland, Wyoming, had been with the USDA APHIS for over 30 years, and a pilot for the USDA APHIS for at least 20 years. He was currently qualified as both a pilot and a flight crewmember (gunner) and served as a flight instructor for the region. Neither the State Director nor the ground crew that worked with the flight crewmember expressed any concerns or reservations about the flight crewmember's abilities. The flight crewmember was serving as both a flight instructor and a flight crewmember during the accident flight. He was the only instructor pilot in the program who had flown with the accident pilot in the field. His duties included familiarizing the pilot with the pilot responsibilities and reporting back to the training center on a regular basis regarding the pilot's performance. The airplane was purchased by the Wyoming Wool Growers Association in September 2016. The airplane then underwent alterations to configure the airplane for the animal damage management flights. These alterations included the installation of clear windshields, a skylight, "D" windows, and a right-side swing-up window. According to USDA personnel, the airplane was configured the same as the previous airplane flown by the pilot and flight crewmember. The airplane was equipped with a stall warning indicator which sounded a horn in the cockpit when the airplane approached the critical angle of attack. The airplane was not equipped, nor was it required to be equipped with a visual angle of attack indicator. Weather conditions recorded at the Yellowstone Regional Airport (COD), Cody, Wyoming, located 38 miles northwest of the accident site at 0953 were: wind 350° at 8 kts, visibility 10 miles, sky condition 6,500 ft overcast, temperature -13° C, dewpoint temperature -19° C, altimeter setting 30.35 inches of mercury. Weather conditions recorded at WRL, located 28 miles southeast of the accident site at 0953 were: wind 340° at 8 kts, visibility 10 miles, sky condition 6,000 ft overcast, temperature -13° C, dewpoint temperature -18° C, altimeter setting 30.57 inches of mercury. The wreckage was located in steep hilly terrain, just below a ridgeline that extended from northeast to southwest, increasing in elevation to the south. The elevation at the accident site was about 4,400 ft mean sea level (msl). The airplane wreckage included the fuselage, empennage, both wings, and the engine and propeller assembly. The airplane came to rest in a ravine in a near-vertical, nose down attitude, with the right wing uphill and the left wing downhill. There was a strong smell of fuel on scene. The initial impact point was uphill and north northwest from the main wreckage. Yellow paint chips, the fragments from the green navigation light, vortex generators, and plexiglass were located at the crest and down the north side of the hill. The right wing exhibited accordion crushing along the leading edge from the wing root outboard to the forward strut. The entire span was crushed and buckled and the fabric was torn. The right aileron and right flap remained attached. The right flap was bent, buckled, and wrinkled along the entire span. The right aileron was bent down about 45° at the inboard portion of the control. The right aileron cables remained attached at the flight control and were continuous through the pulley inboard to the fuselage and to the flight control stick. The forward cable was separated at the fuselage and exhibited broomstraw signatures consistent with overload. The right trailing strut/aft strut was buckled about 8 inches outboard of the fuselage attach point. The right wing fuel tank was compromised. The pitot tube was clear of any visible contamination. The left wing exhibited accordion crushing along the leading edge, from the wing root outboard to about midspan. The entire span was crushed and buckled and the fabric was torn. The left aileron and left flap remained attached. The left aileron was bent, buckled, and wrinkled along the entire span. The left flap was unremarkable. The left aileron cable remained attached at the aileron and was continuous through the pulley inboard to the fuselage. The right main landing gear remained partially attached and was bent aft. The left main landing gear remained partially attached and was bent slightly outward. The fuselage from the baggage compartment, aft, to the empennage was unremarkable. The flight control cables and tubing were continuous and correctly rigged from the control stick aft to the elevator and rudder. The rudder and trim cables on the left side were cut for extrication purposes by first responders. The elevator trim measured 5 threads on the top and 10 threads on the bottom. According to CubCrafters, this position, for the entire horizontal stabilizer, was consistent with 1° leading edge up from takeoff position, also consistent with the airplane being flown at slower airspeeds, or an aft center of gravity. The fuselage remained attached to the empennage and both wings, and included the cabin and instrument panel. The left side of the fuselage was crushed inward and to the right. The right window and door were broken. The forward windscreen was fragmented. The left window and fuselage were impact damaged and cut further for extrication purposes. The instrument panel separated partially from the fuselage. The circuit breaker panel and switch panel did not provide any reliable readings. The propeller separated from the engine at the propeller flange and was partially buried in the ground directly beneath the wreckage. The blades were labeled "A" and "B" for identification purposes. Blade A was uphill. Blade B was downhill and covered in dirt/earth. Both blades were bent and twisted along their entire span and exhibited chordwise scratches along the face of the blade and a few leading-edge nicks. The spinner was crushed aft with rotational crushing and scoring. The airplane wreckage was recovered and relocated to a facility in Greeley, Colorado, for further examination. The forward lap belt and two-point shoulder harness remained buckled. The lap belt webbing was cut by first responders to aid in extrication of the pilot. The inertia reel functioned as designed when tested. The rear lap belt and two-point shoulder harness were not buckled. The inertia real functioned as designed when tested. The digital tachometer was powered by an external power supply and did not provide a current tachometer setting. The forward and aft throttle controls in the cabin were impact damaged and the positions were unreliable. The knob and the lever on the aft throttle was not located. The fuel selector valve was set at both. The stall warning horn was removed and functionally tested. No anomalies were noted and it functioned as designed. The engine remained partially attached to the airframe. The top spark plug and intake rod on the No. 2 cylinder were impact damage. The exhaust tubing was impact damaged and oil was observed on the oil dip stick. The valve covers, and the top spark plugs on the Nos. 1, 3, and 4, and the bottom spark plug on the No. 2 cylinder were removed to facilitate the examination. The magneto P-leads were impact damaged and could not be functionally tested. The magnetos were removed and spark was observed on all points when rotated by hand. The propeller flange was cut to facilitate the examination. The engine was rotated through at the propeller flange. Valve train and engine continuity was confirmed on all cylinders. Air movement was tactically confirmed at the spark plug orifice on all cylinders. Drivetrain continuity was confirmed at the accessory case. The spark plugs exhibited normal operating or combustion signatures when compared to a spark plug chart. The fuel mixture and throttle cables were attached to the carburetor and were cut to aid in the examination. Their positions were not reliable. The carburetor was removed for examination purposes. About 1/4 cup of fuel was in the bowl and when tested there was no evidence of water or visual contamination. The oil filter was cut and the filter element/media was clear of visual contaminants or metal. No preaccident mechanical malfunctions or failures were found that would have precluded normal operation. The pilot was critically injured and survived for several hours following the accident. He passed away after being extricated from the airplane. Forensic Medicine and Pathology, PLLC, Sheridan, Wyoming, conducted an autopsy of the pilot on December 8, 2016. The autopsy concluded that the cause of death was "multiple acute blunt traumatic injuries" and the report listed the specific injuries. The FAA's Bioaeronautical Sciences Research Laboratory, Oklahoma City, Oklahoma, performed toxicological tests on specimens that were collected during the autopsy. Results were negative for all tests conducted. The USDA APHIS Wildlife Services program is responsible for animal damage management. The pilots are located in Colorado, Wyoming, Nebraska, New Mexico, and Texas. Their flight experience ranges between 5,000 and 35,000 hours. The program includes about 35 pilots; 6 of which are based in Wyoming. Five of the pilots in Wyoming are fulltime and one pilot is a contract pilot. The pilots in the program are salary based – they are not compensated per flight, per flight hour, or per capture during any management flight. The decision to fly lies solely with the pilot. The pilots travel to the training center in Cedar City, Utah, twice a year; once for their annual flight review and once for the annual safety stand down, usually held in late fall or early winter. The standard animal damage management flight has at least three phases; en route to the location, a surveillance aspect, and a predator mitigation pass. The surveillance aspect of a flight is conducted between 75 and 100 ft agl. A predator mitigation pass would be conducted at an altitude between 20 ft and 40 ft, at an airspeed between 60 and 70 mph. Pilots generally track their target out the side and rear windscreen. The crew member is positioned to shoot from the left side of the airplane and the pilot always positions the airplane so that the target is on the left side. Most maneuvering turns are conducted to the left; however, terrain and environment might dictate the need to make a turn to the right. Following the accident, the flight program was grounded while an internal investigation could be conducted. In addition, one internal board and one external board of review were convened. Each board made multiple recommendations regarding safety improvements to reduce the number of accidents. There had been one other fatal accident in New Mexico in 2015. - Automatic flight following monitored both on a state level and a dedicated full-time analyst. - Flight data monitoring system including recorded video and flight parameters for all flights. - Four full-time check airmen. - Flight reviews at 6 months intervals. - Standardized GPS position reporting format. - Flight plans, including mission profiles, required in all states. - Across target minimum speeds and minimum observation heights established. On December 7, 2016, about 1015 mountain standard time, a Cub Crafters PA18-150 airplane, N444GB, was substantially damaged when it impacted terrain while maneuvering 15 miles southwest of Basin, Wyoming. The commercial pilot was fatally injured and commercial-certificated crewmember was seriously injured. The airplane was owned by the Wyoming Wool Growers Association and operated by the United States Department of Agriculture (USDA) as a public use flight. Visual meteorological conditions prevailed and no Federal Aviation Administration (FAA) flight plan had been filed for the flight. The animal damage management flight departed Worland Municipal Airport (WRL), Worland, Wyoming, about 0800. According to the USDA Animal and Plant Health Inspection Service (APHIS), Wildlife Services ground crew that supported the flight, the airplane arrived in the area around 0820 for animal damage management. The crew members were located west, north, and east of the area where the airplane was operating. Crew members had visual contact, voice communication, and/or audio contact (they could hear the airplane operating) until about 1000. About 1015, the ground crew attempted to contact the airplane to change the area of focus without a response from the airplane. The ground crew tried multiple locations and means to contact the airplane without success. At 1100 the agency search and rescue plan was activated and about 1330 the airplane was located by aerial search and rescue teams. The wreckage was located within steep hilly terrain, just below a ridge line that extended from northeast to southwest, increasing in elevation to the south. The airplane wreckage included the fuselage, empennage, both wings, and the engine and propeller assembly. The airplane came to rest nearly vertical with the right wing uphill and the left wing downhill. The propeller separated from the engine and was directly beneath the wreckage. Weather at WRL, located 28 miles southeast of the accident site was recorded at 0953 as wind 340 degrees at 8 knots, visibility 10 miles, sky condition 6,000 feet overcast, temperature minus 13 degrees Celsius (C), dewpoint temperature minus 18 degrees C, altimeter setting 30.57 inches of mercury. Weather at the Yellowstone Regional Airport (COD), Cody, Wyoming, located 38 miles northwest of the accident site was recorded at 0953 as wind 350 degrees at 8 knots, visibility 10 miles, sky condition 6,500 feet overcast, temperature minus 13 degrees Celsius (C), dewpoint temperature minus 19 degrees C, altimeter setting 30.35 inches of mercury.